How to Extract File Attachments from an Outlook PST File? 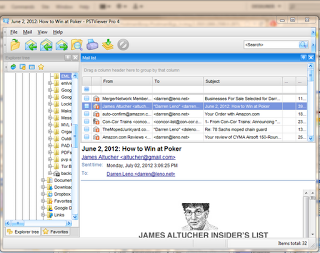 PstViewer Pro is a viewer for Outlook .pst files, but did you know it can also extract file attachments from thousands of emails stored in an Outlook .pst or .ost file, and save them to a folder on your hard drive? This article will show you how. 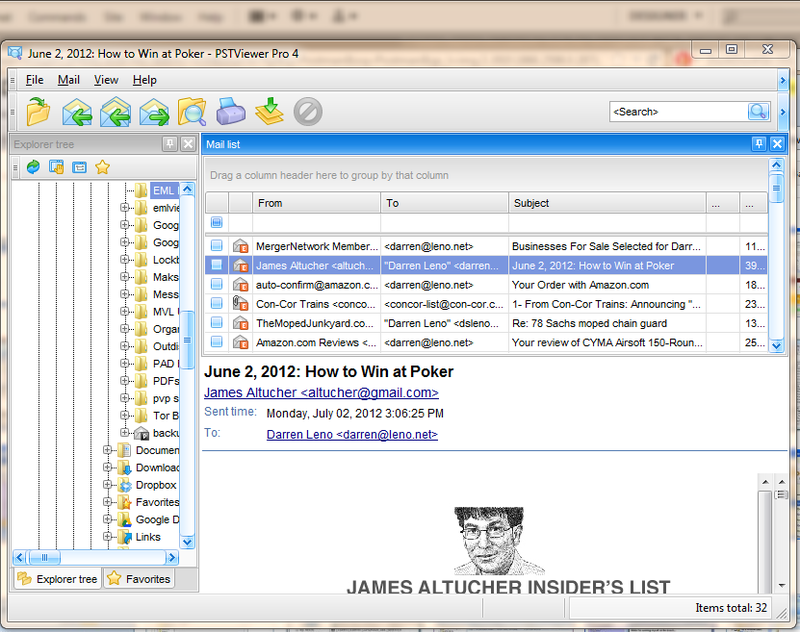 First, you’ll need to download a trial of PstViewer Pro for your Windows computer. After you do that, continue reading. When we say “extract” file attachments from email, what we really mean is “make a copy of the file attachments and save them to your hard drive.” PstViewer Pro won’t delete the file attachments from the emails in your Outlook .pst file. 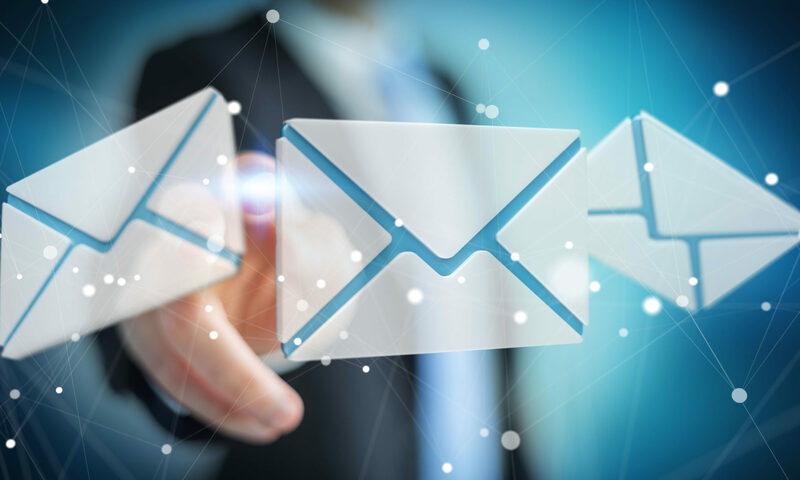 Those files will still be attached to the emails, but at the end of the process you will also have a copy of those email file attachments in an accessible folder, where you can open and view them easily. Next, after the emails have been listed, click on the email file list and type “Ctrl-A” to select all emails. Click the “Export” icon from the main toolbar. It’s the icon with the green arrow pointing at yellow paper. This will pop up the email export manager. Choose “Only Attachments” from the list, as in this image, then click Start to begin the export process. You may be prompted to select a folder on your computer where the file will be stored. folder, with lots of files in it. PstViewer Pro lets you customize any of the export profiles. An export profile is simply one of the named selections from the Export Manager drop down list. For example, “Only Attachments” is an export profile. If you wish, you can customize “Only Attachments” by selecting it in the export manager and clicking the small “Edit” icon. This will reveal the guts of the export profile. 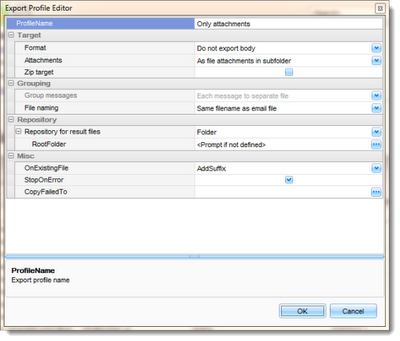 There are many settings you can change in any export profile. For example, you can tell PstViewer Pro to give a specific naming structure to the attachments it exports from the Outlook .pst. You can select a specific destination folder that will always be used. If you have any questions or comments, please talk to us in the comments section below. If you are a Microsoft Outlook user and you want to extract file attachments from inside Outlook, consider MessageExport, an Outlook add-in that can perform many tasks similar to Pst Viewer Pro but from inside Outlook. Editor’s Note: as of the version 4.7 release of Pst Viewer Pro, the export operations have been moved to the main toolbar to make the operation even easier..